Hello Kitty Figure Necklace Pendant Bowknot Pink Only $3.88 + FREE Shipping! You are here: Home / Great Deals / Amazon Deals / Hello Kitty Figure Necklace Pendant Bowknot Pink Only $3.88 + FREE Shipping! 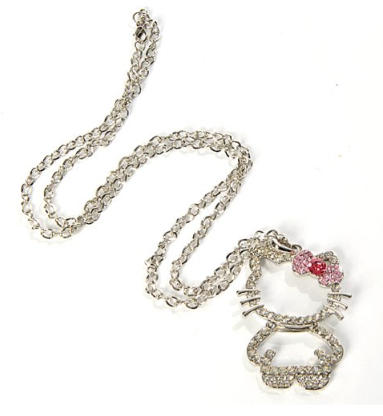 This is such a cute necklace and sure to be a hit with any Hello Kitty lover! Right now, grab one for yourself at this low price! You can get this Hello Kitty Figure Necklace Pendant Bowknot Pink for Only $3.88 + FREE Shipping!